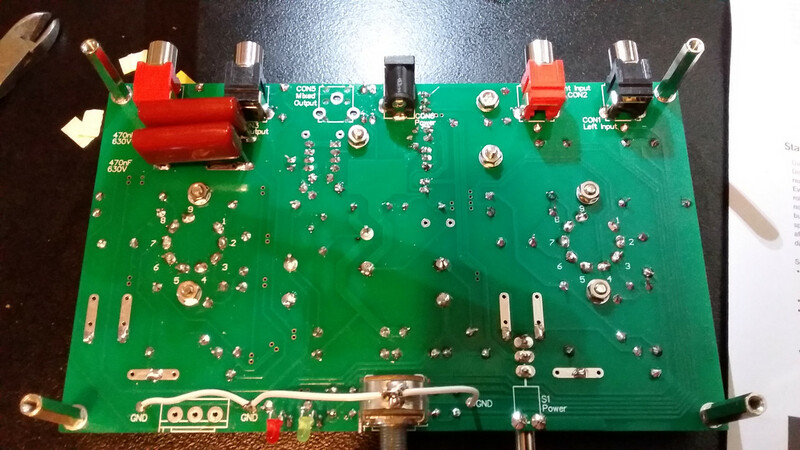 Bought this one as a kit to assemble, with a mounting box (to be fitted later) and upgraded 15 volt power supply (instead of 12 volt). All parts required for assembly, operation and mounting to case are included, as well as a 12 volt power supply which has not been used. The instructions are easy to understand, have excellent first power up checks, and good detail on assembly. 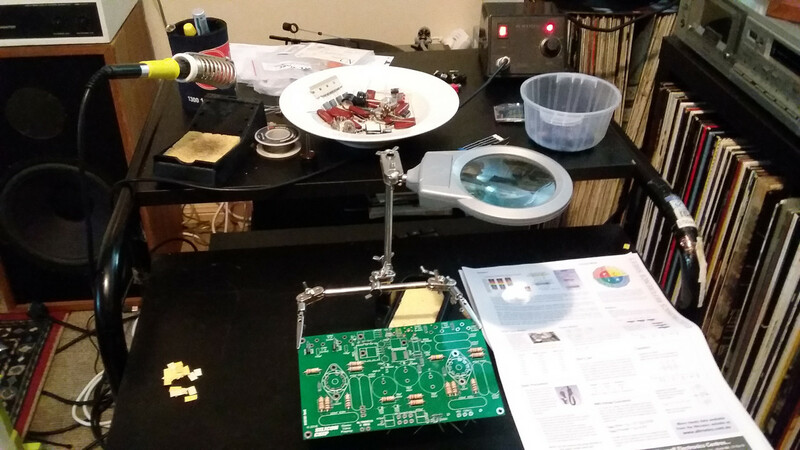 This was a good opportunity to improve on my soldering skills. 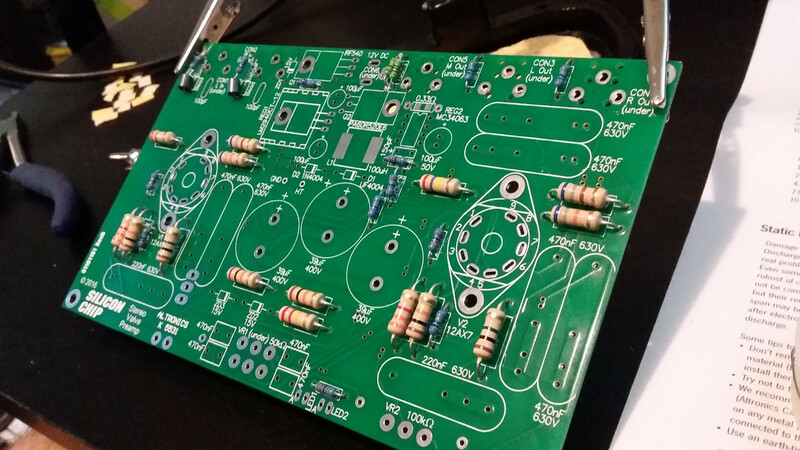 There are two Surface mount components on the board which I had a friend do. 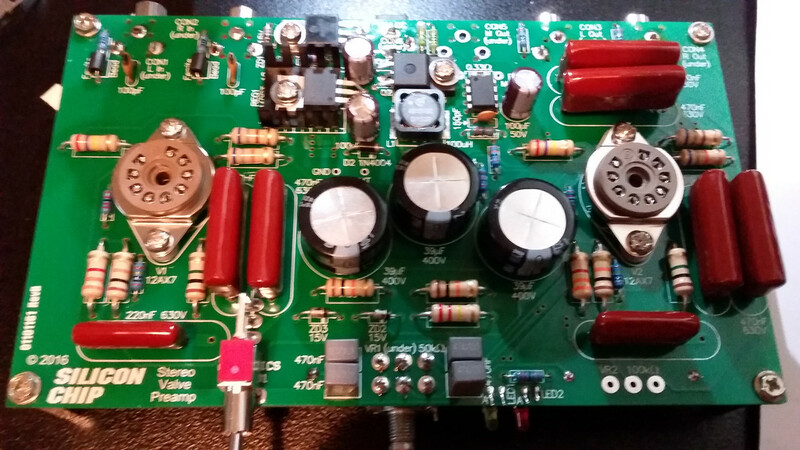 There were no issues on first power up, all tests passed in terms of voltage behavior. The voltage going to the tube drops 10-20 volts once the tube has warmed up and stabilized, there are some handy test pads towards the center of the board for this. 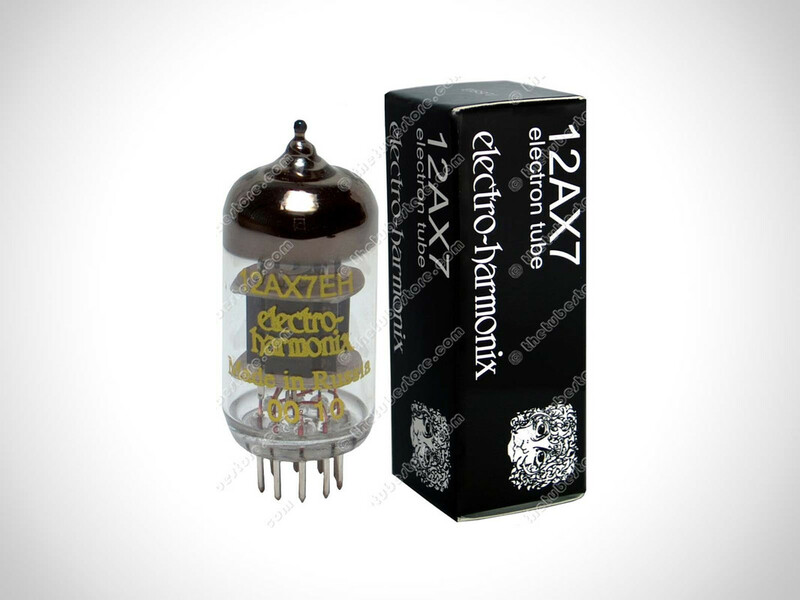 Running the included 12AX7 Electro Harmonix Tubes for now. The sound is good, however I have ordered some higher grade ones to experiment with also. The Genalex look to be some of the best tubes out there. 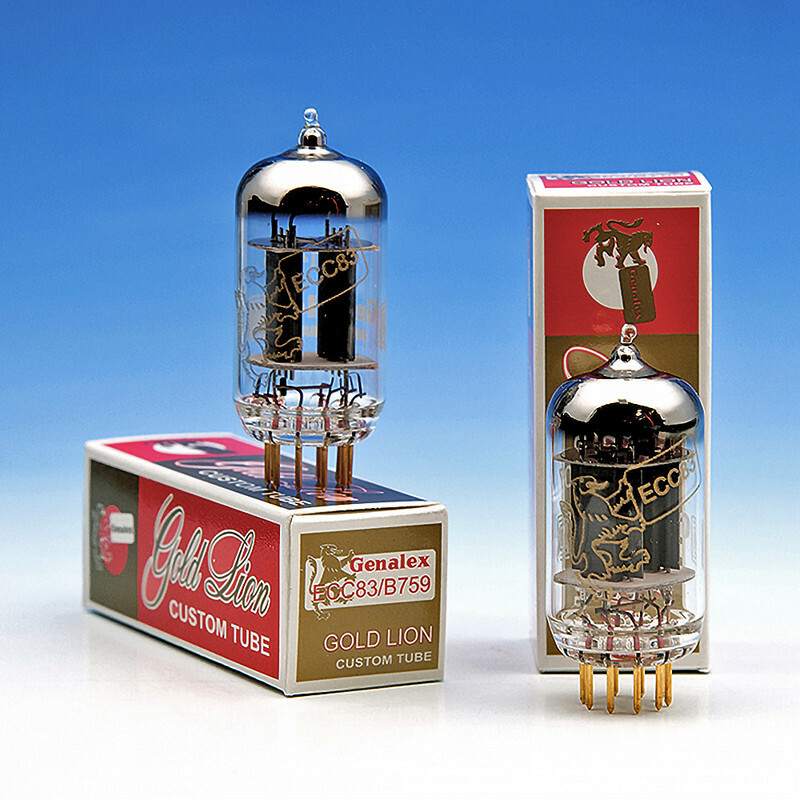 With the included tubes the Pre sounds fine, the warmness is certainly there with good high end, keen to try the other tubes when they arrive. Time will tell if a break in period was required for the sound to reach its quality potential. 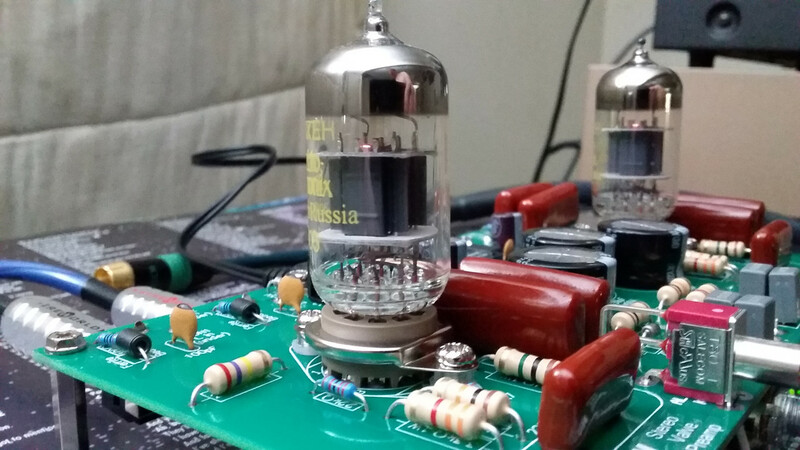 Very much enjoying this Tube Valve sound. Cool project, Darcy. What component(s) do you intend to run through it? Hi Nando, I will try all components like Tape, CD, Vinyl, PC (Flac/Hi-res), not sure of how I want it permanently connected yet. Its a nice addition to the setup and a good way to learn about different valves. 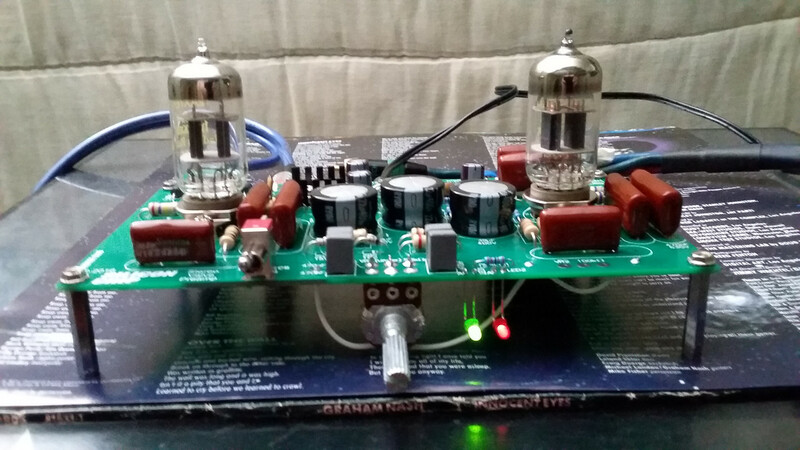 I am interested to hear your findings with using digital sources played through the tube pre-amp. 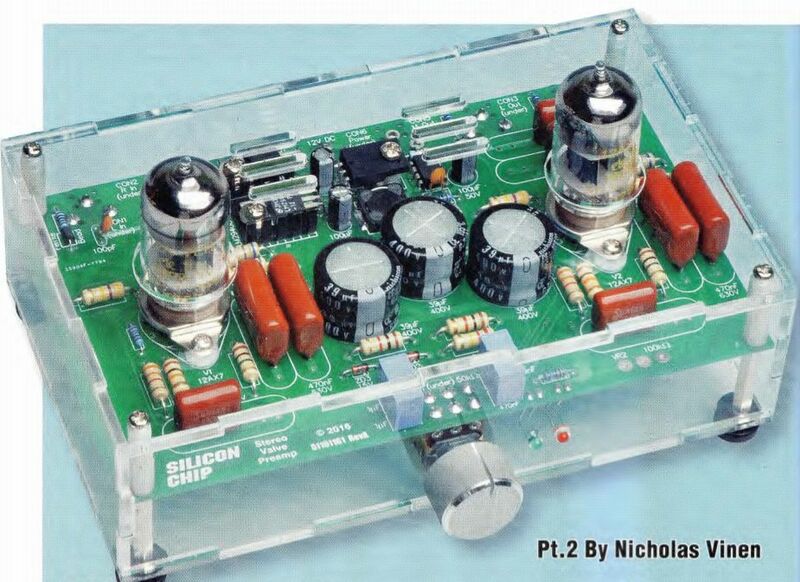 I hope it's a discernible difference from solid state. What about the cabinet ? For me it's the most difficult thing to do . Are there nice cabinets for preamps ? 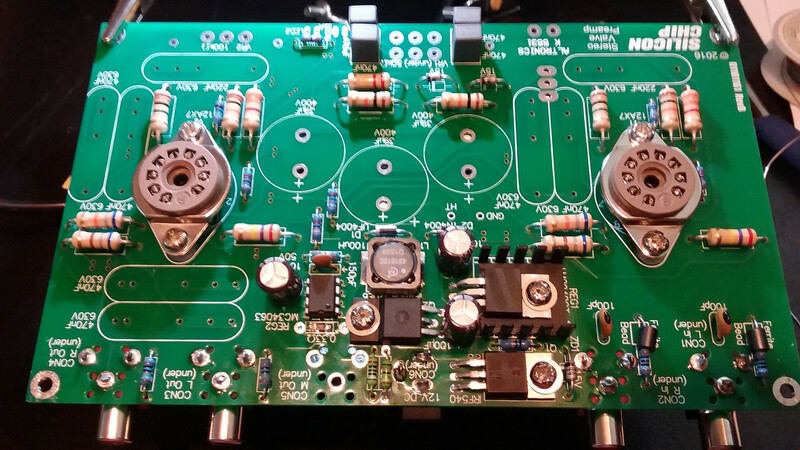 state preamp to drive my father's PL 700 , because now we have a PL 700B . Speakers could be AR 3a or 3a improved . Coolness D arc...... you've come s looooooong way from soldering in a transformer. I'm wondering if it will make his turntable sound even nicer in his You Tube videos! Now THATS cool.... I want to build one too!!!!!!! In the near future, I will play some sources with and without the Valve pre, and record into the PC, then put a file share link in here so you can compare. I suspect a bit too much brightness at this stage. The Lows and Mids are great though. This all could be related to the fact that neither the components or valves have broken in yet. 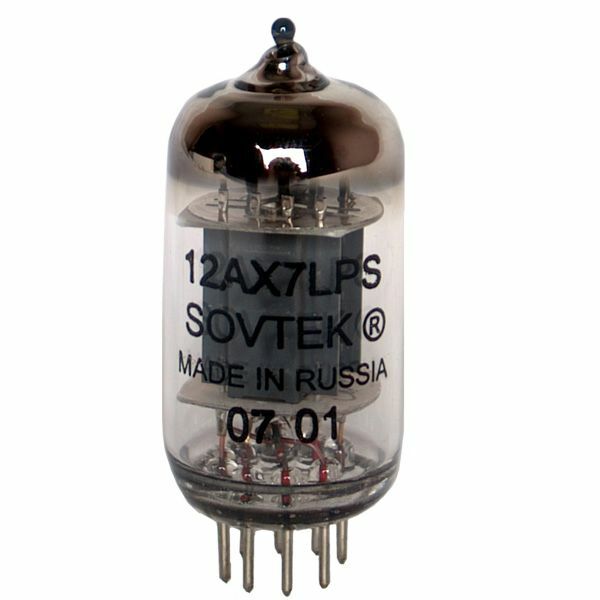 When connecting the Valve Pre to a source then directly into the amp, there was very little bass. I put this down to the fact that the Valve Pre does not have a loudness function. But when I run the Valve Pre through the Phase linear Pre, there is plenty of bass, what I am used to hearing. Of course the P3600 has a loudness function which is always switched on. Thanks buddy, encouragement and support from you and fellow Phoenix members acted as a spring board for me to improve. 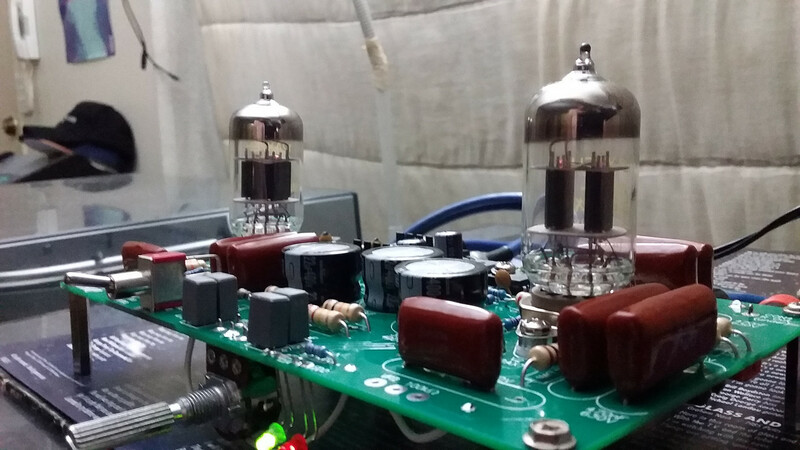 I will certainly be posting some new videos with the Valve amp in the audio chain. Played some vinyl through it last night, sounded great, just a little bright at this stage. I am being picky here, typical Audiophile. I think this kit has a great bang for buck, it is possible you can't get a quality unit 'pre made' in the same price range. What I mean, is that you probably could not find a Valve pre of equal quality in pre-made form. Ahhhhhhh, I dig....... I agree that the kits (where you have the ability to sub in better components) are possibly better performers. I know the large main caps are Nichicon (URY2G220MRD), but the 3 smaller caps are a brand I have never heard of, they are Low-ESR. You seem to have good electronic Knowledge. Tell me, what would you do to improve this Valve Pre?